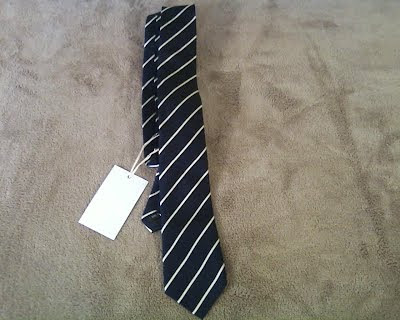 Ties are often percieved as either nerdy or formal, but my new tie takes it to a whole ‘nother level. Swipe Tie sent me their insanely awesome tie to review, and you’ve gotta read what this thing does. Swipe Tie is a fine, handmade tie with a BUILT IN Hidden microfiber cloth to clean your glasses, iphone, ipad, etc. I hate screen smudges, and the Swipe tie performed briliantly against dirt, finger prints, and a little bit of water. My colors were classic, came in a really snazzy packaging (I love the art of packaging- one of Apple’s finest achievements, and SwipeSwipe’s too) and the colors I got were called Wolverine. How sick is that as a name for a tie? The tie itself was comfortable, classy, and it’s just so cool to have a tie with a function. I will definately be showing this off to all my nerdy friends (and my dad-Papa Geek recieved one from me for father’s day). The workmanship and functionality of my snazzy new tie definately makes it a great gift for any male iphone owner (and a creative one too).